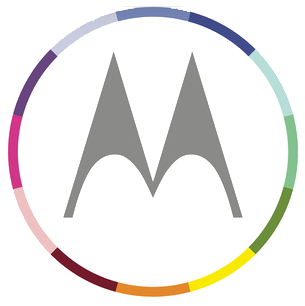 Motorola hasn't let its sale to Lenovo put an end to steep discounts. The company just knocked another couple bucks off the Moto X, and there's a coupon code that can get you a slightly better deal on already discounted phones like the Nexus 6 and Moto G.
If you want to pick up a Nexus 6 or Moto G, drop in promo code MOTOMAKERTYLER. This is an employee code that's part of a promotion to see whose code can get the most uses—I'm sure we can help Tyler with that. 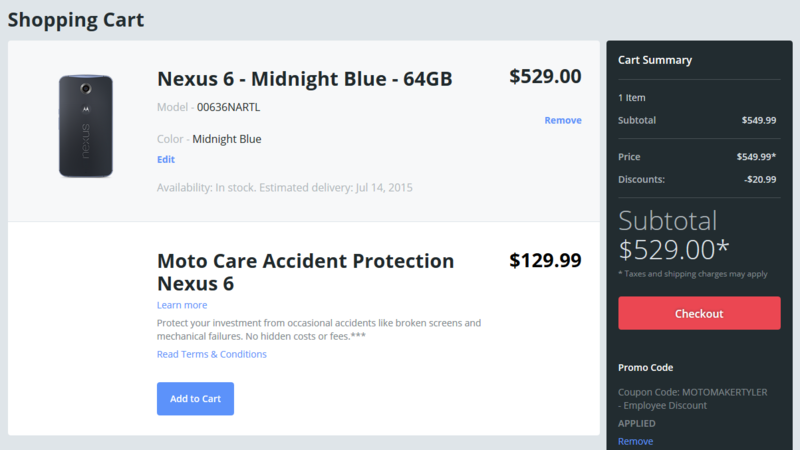 You can get a 32GB N6 for $479 and the 64GB for $529. The Moto G 8GB and 16GB are $30 and $40 off, respectively. The code doesn't seem to work on the Moto E, though. The Moto X at $299.99 is a really great deal, even if that's just for the 16GB version. That's as low as the phone can be discounted, so the promo code won't do you any good. The code doesn't seem to work on more expensive versions of the phone, either. You can, however, use the code for 30% off accessories like Moto 360 bands. The Moto 360 itself is already at the minimum price of $149.99, so no more discounts there.